Have you ever seen that life hack for eating a cupcake? You remove the stump and put it on top of the frosting to eat the little cake with less mess. (Kind of like putting a hat on the cupcake). Well after the 100+ cupcakes I've eaten, I finally tried it. 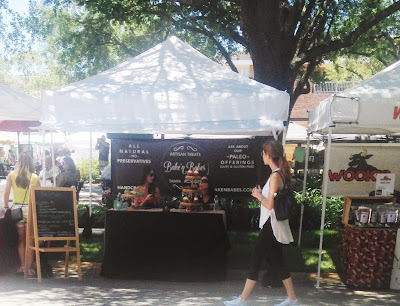 Last weekend I ventured out to the Hyde Park Village Farmers Market to track down the No. 1 cupcake in Tampa Bay. Bake'n Babes has a regular stop once a month at the farmers market. On that Sunday, there were four flavors of cupcakes available, along with Paleo granola, donuts and cookies. I opted for a peanut butter and chocolate cupcake and grabbed an extra pb & chocolate along with a red velvet for a friend and his dad. Each cupcake is $4. After seeing the tower of peanut butter frosting on top of my chocolate cupcake, I knew it was the perfect opportunity to try the life hack method for eating the cupcake cleaner. 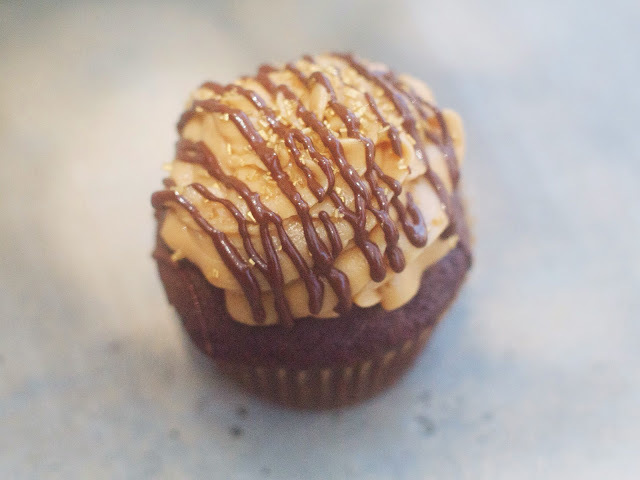 The cupcake was fairly moist with a pretty tasty peanut butter frosting. 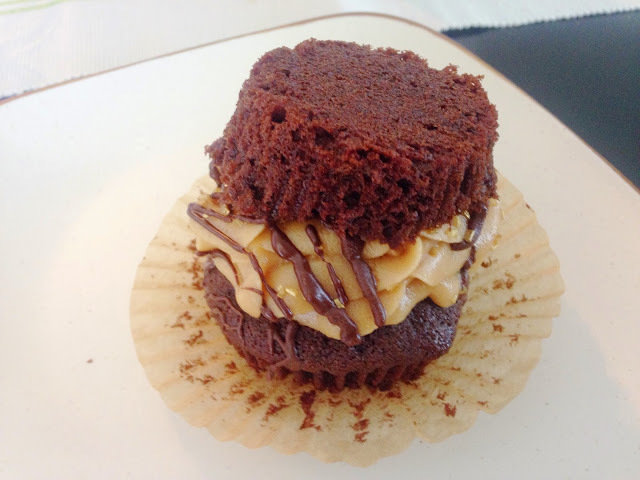 A good middle-of-the-road cupcake but nothing too spectacular. Even though I was a little hungry when I first sampled it, it didn't hit the spot for me. With the new method of eating the cupcake, it still proved to be quite messy. And for some reason, it didn't feel like I was eating a cupcake. The experience felt a little wrong and a little strange. Call me a traditional girl; I'm going back to the old-fashioned way.